Since SUSTO released their second album back home in the States in the beginning of 2017, thing’s been happening in a fast pace for the band. 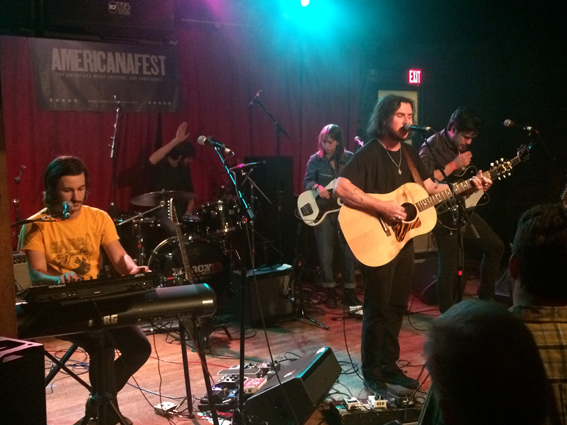 The album got great reviews, the band has been touring relentlessly and they’ve done several big, nationwide TV-shows, and SUSTO are no longer local, South Caroline heroes anymore, but a band breaking big in the US. And now they’re finally ready for Europe as well. A few years back, Justin Osborne needed a break. He’d been writing music and making albums since he was 15, and by the age of 26, he felt like he was spinning his wheels. He knew he needed a change, so he ended his old band Sequoyah Prep School and moved to Cuba. He thought he might be done with music for a while, but the songs just kept coming. SUSTO is a Spanish word referring to a folk illness in Latin America that Osborne learned as anthropology student, meaning „when your soul is separated from your body,“ and also roughly translates to a panic attack. For Osborne, the music of SUSTO was something he had to get out into the world. 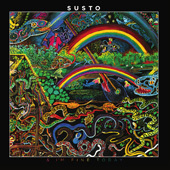 The members of the live band that Osborne and Delaware recruited – Corey Campbell (guitar, keys, backing vocals), Jenna Desmond (bass), and Marshall Hudson (drums, percussion) contributed to SUSTO’s new album & I’m Fine Today. „We just wanted to go further. We started something with the first record, and we want to keep going in that direction,“ Osborne says of the album, which finds them taking the spacey country rock of their debut into the stratosphere, piling on layers of sighing keyboards, galloping rhythms and frayed, noisy guitar solos atop wistful melodies and lyrics that examine growing up and growing into yourself. We put the first record out, and we worked hard, and it just feels like a good place to be,“ he says, noting that while the first record focused on his own struggles, & I’m Fine Today is more concerned with looking at the world beyond the struggles in your head. Kommentare deaktiviert für SUSTO – another great act by the Swedish Rootsy label!